Because I slept quite early last night, I still wake up in the early morning. 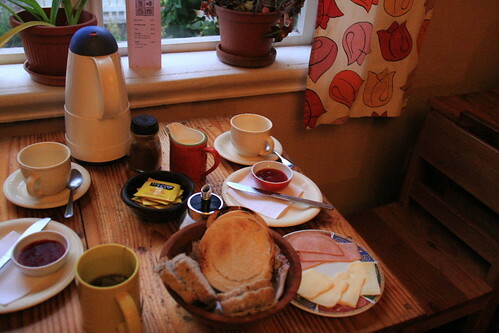 It's my lasy day in Santiago, so I didn't buy any food and drink my only orange juice as the breakfast. I even check in my flight from Hong Kong to Taiwan on the internet and print the boarding pass for 100 pesos in the hostel. As for the attractions today, I only decides to visit the zoo and Santa Lucia Hill. 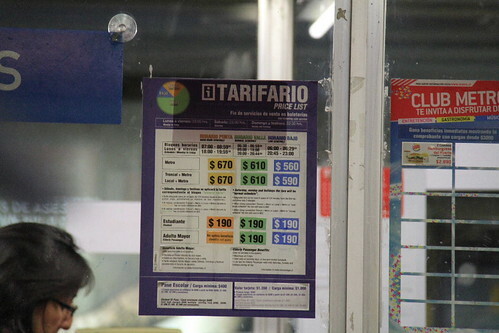 Around eight o'clock, the bus arrived at Santiago bus station. 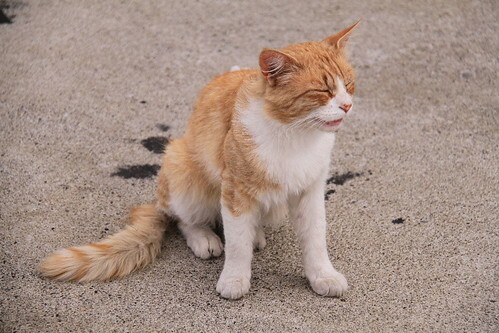 The seat is quite comfortable, so I slept well. 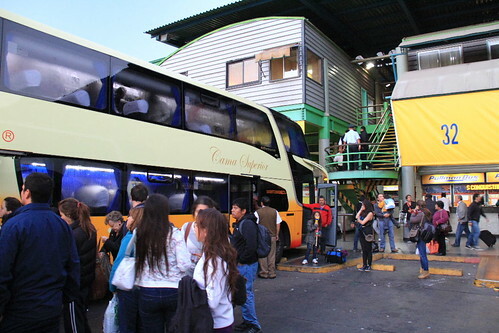 Alamenda bus station is just next to Santiago bus station and the metro is also nearby. In the morning, we have our early breakfast before going to the bus terminal. Due to the location of this hostel, there is an way without any deep ascent to the station. If you walk from the plaza, there wiil be a long deep ascent before the station. 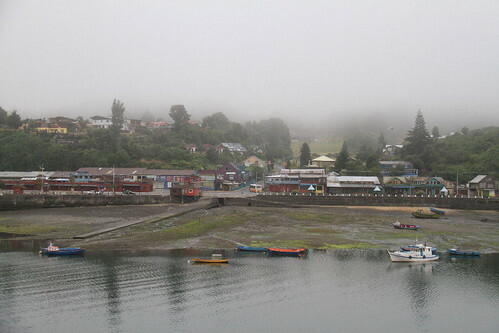 Although the ferry arrived at Puerto Montt around 4 a.m, the tourists leaves the ship after the breakfast around 9 a.m. 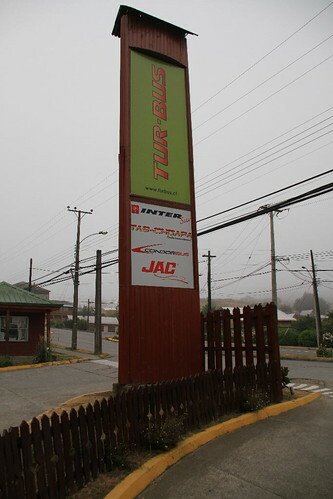 Yesterday, the staff introduced about the attractions around Puerto Montt included the Chiloe Island. The red buildings that I could see around the port is the recommended place, Angelmo. 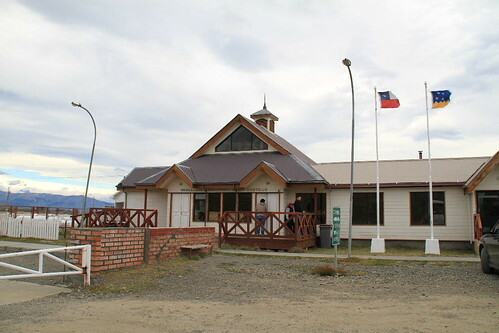 I'm ready for going back to Puerto Natales after the leisure weekend in El Calafate. 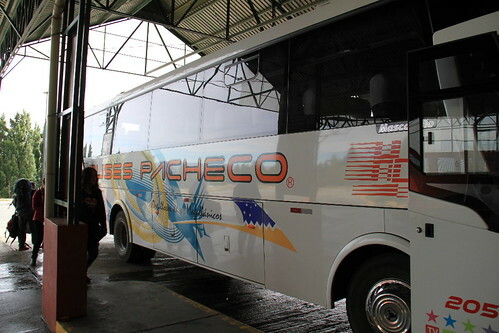 The familiar Bus Pacheco comes again following the same route just like going home. In the hlaf way, we take a short break at the gas station. 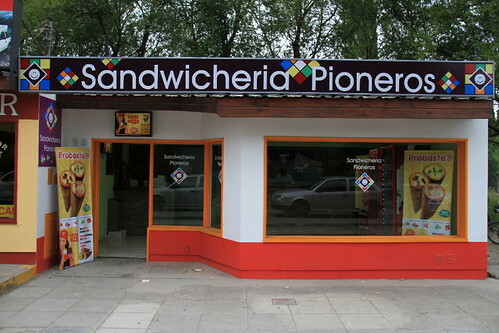 Coming back to El Calafate in the evening, I buy the hamburger at the store near to the hostel. To stay at El Chalten for hiking one day more is also fine, but my feet seem need to rest. In this popular town, maybe I could find some interesting activities for the next two days. When I check in the hostel, the staff still promote their special glacier hiking to me. 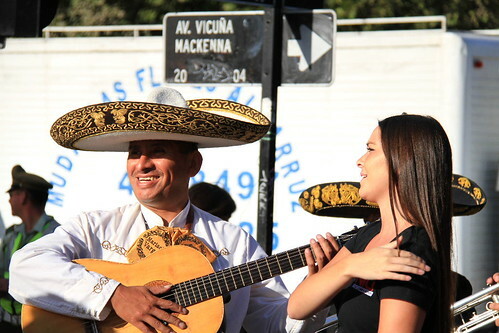 Today is the 12th day of my journey in South America. El Chalten is the next destination where most hikers will visit in Argentina just as Torres del Paine in Chile. We drag the luggage toward the bus terminal. Though the main street is still silent, the ternimal is already crowed with people. 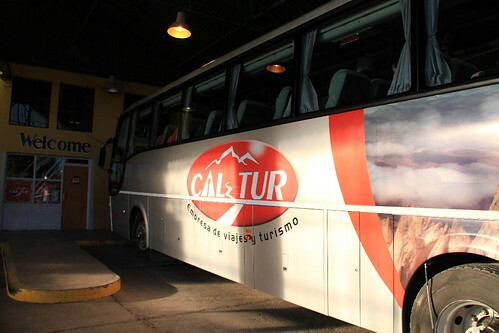 Today, we're going to Argentina for the glacier activities. I arranged about one week in Argentina for Perito Morreno glacier and El Chalten. My first experience of the glacier is the 4-hour hiking in Franz Josef, New Zealand. Afterwards, I've ridden the skidoo in Iceland and walked on Greenland's icecap. 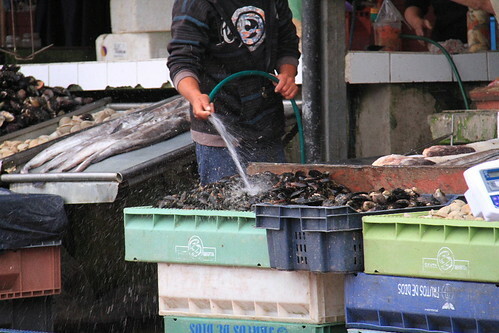 Today, we will go to Puerto Natales, and then the tiring four-day hiking is coming. 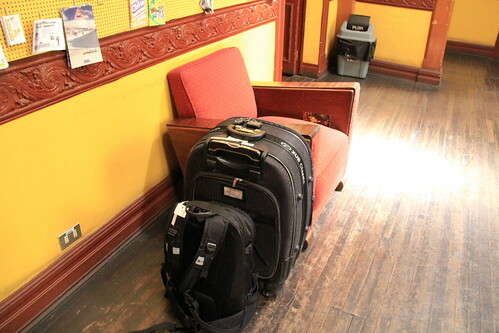 Though we ask the hostel to call for a taxi for us to the bus office, the taxi doesn't come in time and we walk directly there with our big luggages. Sometimes you have to arrange more time to prevent such a event. 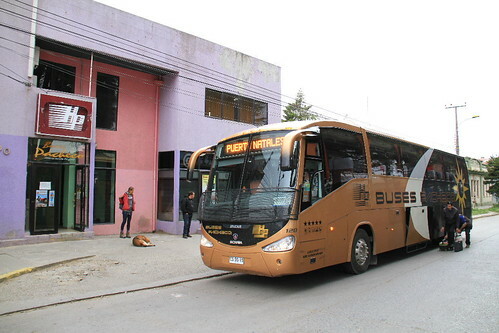 The bus to Puerto Natales takes about three hours and the seat is comfortable. 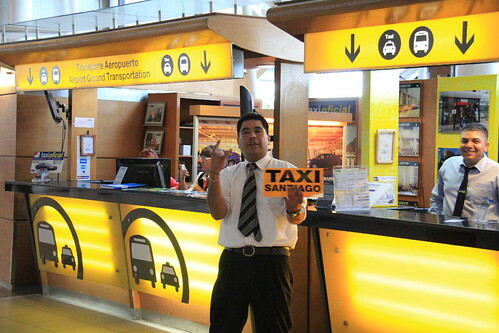 Monday, we take the private taxi to the airport for the domestic flight. 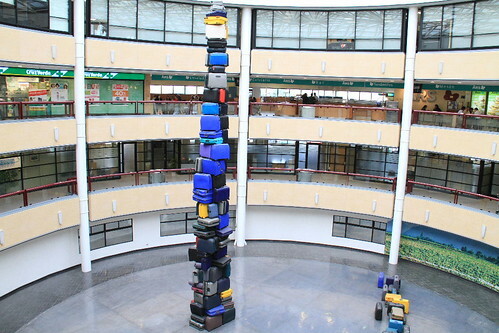 There is a fun luggage "tower" in the middle of the domestic area that looks unreal. Due to the unknown reason, we wait for the flight for more than one hour and the announcement is only in Spanish. That's fine. I know that the cheap flights sometimes delay. The day defore my departure to Chile, I still have something to do. Due to these easy routines, I fly a day later after my friend to Santiago. The journey this time is a group travel but also includes individual trips. We both have our private time in Santiago and personal trips for a week for different interests. 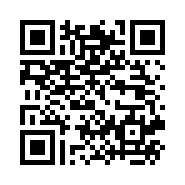 Because of this special plan, the schedule for applying Visa is a hard job for me.